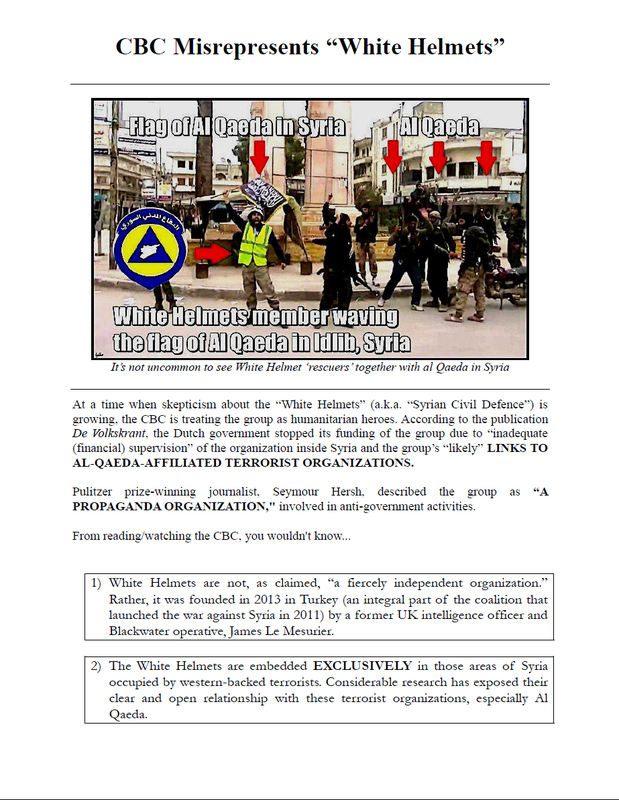 This informational picket will challenge the CBC’s unrelentingly favourable coverage of the Syrian White Helmets, in particular their resettlement in Canada by the Trudeau government. 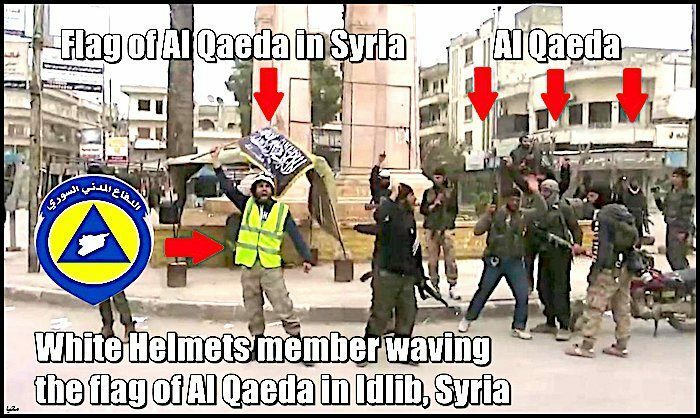 Unbeknownst to many, “White Helmets” routinely appear in public in Syria alongside the terrorist groups in which they are embedded, primarily Al Qaeda. 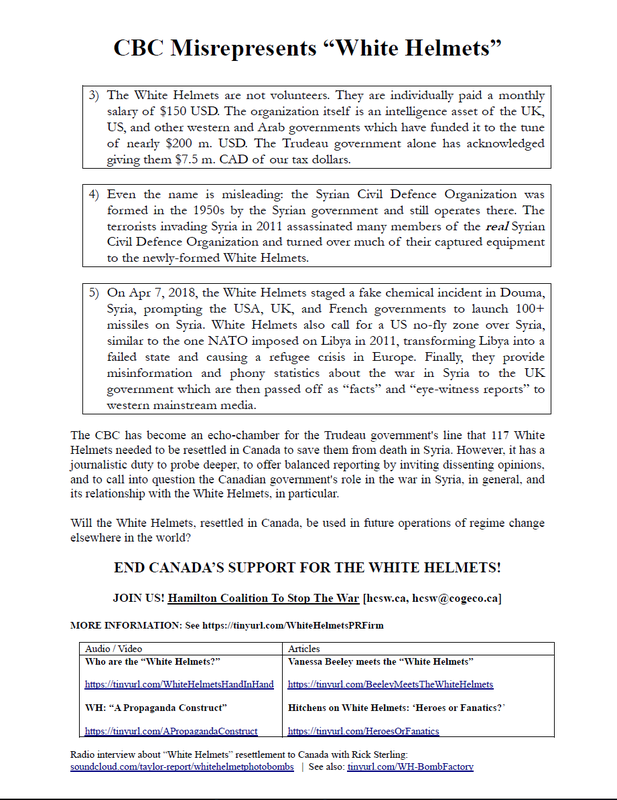 Previous PostFILM: “Flying Paper.” Nov 6Next PostSuccessful info picket at CBC Hamilton!